We are currently seeking a Northern California Regional Field Coordinator, working out of our Central Headquarters in Oakland and reporting directly to the Statewide Field Director. The Coordinator will be responsible for the Local’s five Northern UC campuses, including supervising Lead and organizing staff and overall field program. Plan and implement worksite campaigns. Assist in planning and implementing (on 5 No Cal UC campuses) the Local’s statewide coordinated contract, legislative and external organizing campaigns. Train, develop, and direct activities of Lead Organizers and Internal and External organizers. Assist in planning and implementation of member education and training programs. Coordinate, identify, and develop worksite leaders and stewards. Work with elected member leadership, senior leadership and staff in ongoing development and implementation of Local’s new vision and strategic plan. Work with the Southern California Coordinator to ensure the timely coordination, and efficiency of the Local’s statewide program. Must be familiar with the Southern California’s working groups for coverage in absences and overall coordination. Ability to think strategically and work in teams. 2 years’ experience leading or supervising multiple staff, assignments, projects, managing timelines, and effectively using database systems. 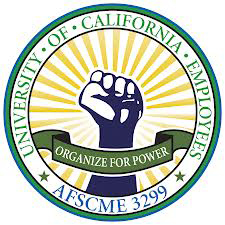 All interested applicants should send cover letter, resume and 3 references to jobs@afscme3299.org, to the Statewide Field Director with Northern CA Field Coordinator in the subject line of the email.